Fine tune your fat-burning with the perfect keto ratio. Learn the special concerns for protein and fat ratios, how to track your keto macros and where to find the wiggle room. 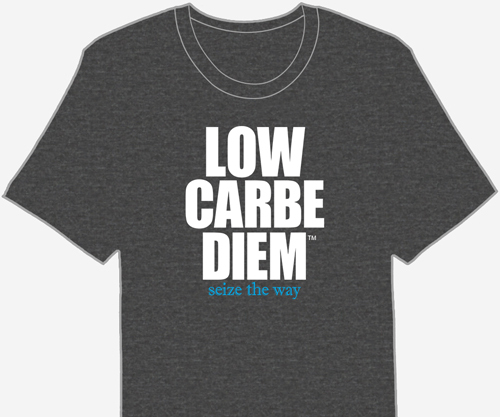 Keto macro is short for ketosis macro-nutrient. The three keto macro-nutrients are fats, proteins and carbs. Sometimes, calories are also considered part of the equation. What’s the best keto ratio? “Best” depends on your goals. A typical keto ratio has 75% of calories from fat, 20% of calories from protein and 5% of calories from fiber-rich carbs. Keto Tip: A perfect ketogenic ratio happens when the amount of protein grams are equal to or slightly great than the grams of fat. Keto foods center around healthy fats, with moderate amounts of protein and scant carbs. During ketosis, think of fat as a food group. The Atkins Keto Food Pyramid illustrates which of the 200 ketosis foods to enjoy liberally and which ones to limit. Track keto macros helps identify diet stalls and plateau. Macro tracking pinpoints troublesome keto ratios in your diet. Are you eating enough fat? Are you eating too much protein? Track your keto foods and find out. If your keto ratio is off a bit, it’s not a big deal. You have wiggle room. If some days are over and some days are under your ideal goals, it’s fine. Keep your calories in check and track your keto macros by averaging several days at a time. A single day won’t make or break your plan. Keto ratio and keto macro percentages are great for weight loss, but it’s smart to calculate your own, specific requirements. Physique and physical exercise are an important part of the equation. Find out exactly how many calories of each macro-nutrient you need per day with a keto calculator. Use this free, online keto macros calculator to see how many fat, protein and carb grams to eat per day. The keto calculator also provides a weight and body fat forecast for one year. Yes, eventually calories matter. On a ketogenic diet, worrying about calories is rare. Fats and proteins are filling and keep you full for long periods of time. If you’re exercising, you’ll create a calorie deficit so factor in an extra keto mini-meal or snack on those days. Eating too much fat increases total daily calories. If you’ve eaten more than you’ve burned off throughout the day, weight loss stalls. Or worse – you’ll gain. Most low carbers find it difficult to overeat fat, but it’s a possibility. The balance of fat and protein is important. If protein ratios are too low, muscle is lost. If protein ratios that are too high can stall ketosis. Excess protein may cause elevated glucose in some low carbers, raising blood sugar and encouraging fat storage. Certain low carb foods are best for ketosis. Here’s a printable list of keto macros for your safest choices. The list includes calories, fat, net carbs and protein for almost 200 ketosis foods.